Our swimming facilities at Bowfield Hotel & Country Club offer something for everyone. Our fantastic 16 metre pool is a suitable size for lessons, splashing around and even practicing your backstroke. 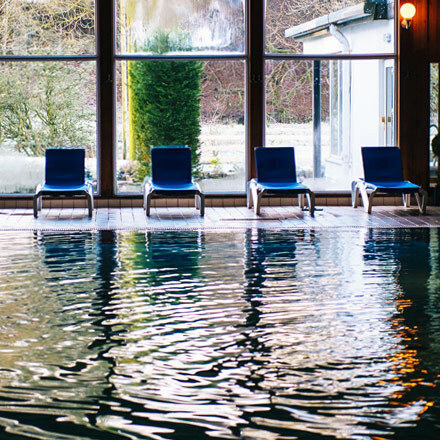 Even if you’re not here for a swim we have a fantastic jacuzzi and steam and sauna to relax in. There’s also ample space and seating to sit back, relax and enjoy spectating as you keep up with your child’s progress. We offer a great range of Group and 1:1 Swimming Lessons and Swimming Classes that suit all ages, from babies, toddlers, teenagers, right the way through to adults. Our swimming lessons are available to non-members and members. Group lessons are available on Tuesdays 4pm-6pm, Thursdays 4pm-6pm & Saturdays 9am-12 noon. Our swimming facilities at The Bowfield offer something for everyone. Our 16m pool is a suitable size for lessons, splashing around or practising your backstroke. Our jacuzzi is perfect for those days that you just want some ‘me time’ and to relax. 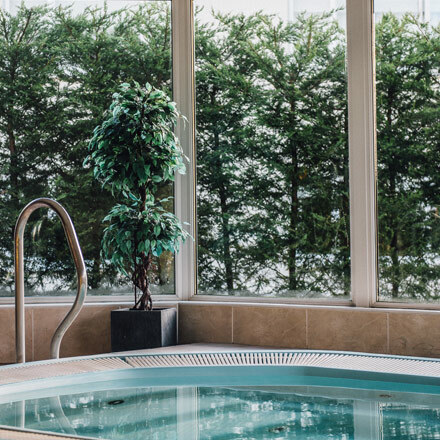 Located adjacent to our steam and sauna room, our jacuzzi offers that little bit of indulgence after a hard work out in our gym. 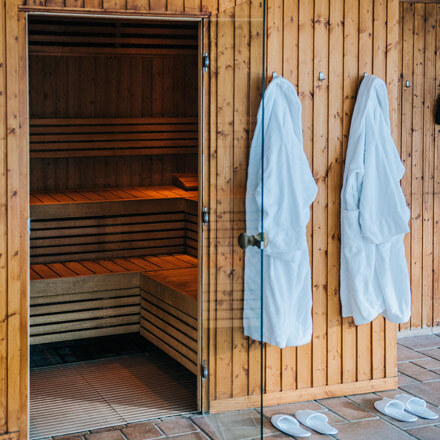 Feel rejuvenated and clear those toxins from the body in our steam and sauna room. Close proximity to the pool, jacuzzi and changing rooms, this facility is another perfect excuse to feel relaxed and recuperated.